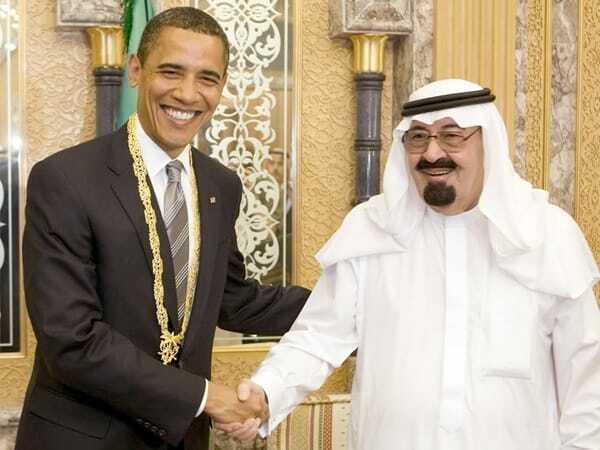 Saudi Arabia to Sell U.S. Debt Hoard to Help Their Economy? Home » Will Saudi Arabia Have to Sell Its U.S. Debt Hoard to Help Its Hemorrhaging Economy? The plunging price of oil is wreaking havoc Saudi Arabia. With the nation’s economy in dire straits, how will it disrupt the U.S.? With the price of oil plunging and increased military spending in Yemen, Saudi Arabia is dipping into its reserves to make ends meet. In December alone, the kingdom blew $19.4 billion of its now remaining $608.4 billion. 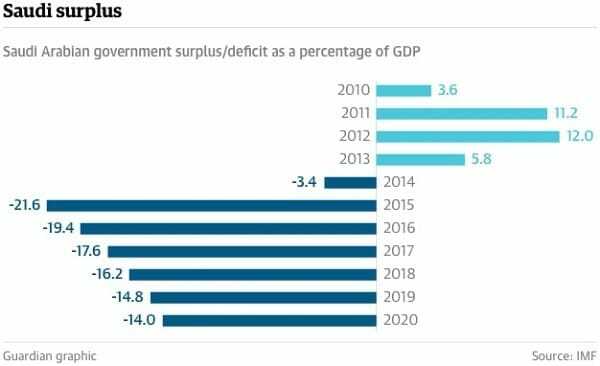 With the nation burning through almost $100 billion in reserves in 2015, things are not looking good for the U.S. ally, as the International Monetary Fund (IMF) expects many deficit years ahead. So, with the price of oil dipping below $30 a barrel (and expected to go lower), and a massive 90% of the Saudi empire’s income coming from oil, its reserves could all but dry up. So much so that the IMF came out with a report outlining how Saudi Arabia will likely be bankrupt by 2020. The head of Saudi Arabia, King Salman, who is renowned for his lavish spending on luxury items (such as hiring 410 Mercedes S-Class vehicles on a single weekend visit to the United States), seems to be taking note. A leaked government document outlines how austerity measures have been placed on the public sector in an attempt to plug the leaking bucket. The situation is so dire that the Saudis are looking to potentially sell off their cash cows — including state owned oil giant Saudi Aramco — in order to raise money to cover the biggest budget shortfall in 25 years. If Saudi Arabia did sell off its geese that lay the golden eggs, then it would spell the end for the empire soon after. But here’s where you and I should be concerned: Rather than first selling their physical assets that produce cash flow, the first and most logical move for the Saudis to make will be to start to sell their over-sized holdings of U.S. debt. How much U.S. debt do they own? We don’t exactly know, as the U.S. Treasury Department keeps that data mysteriously secret (despite reporting on every other nation individually). But what we do know is that the Saudis are the 3rd largest holders of our debt, so if they start selling it, will likely impact us in a big way. China and Russia already began dumping U.S. debt in 2015, as they plan to move away from the dollar system. If Saudi Arabia joins in and starts selling as well, we will likely see other nations follow suit. This is not good news for the already stalled economy, with the dollar likely to lose significant value too. The 1981 movie Rollover foretold of something similar to what’s happening now, with the Saudis selling out of U.S. investments as they realize the U.S. banking system is completely insolvent… sound familiar? In the film, as the Saudis begin to pull their money out of the U.S., the dollar and stock market crash in a single day. In times of desperation and fear, what people have done historically is dump paper assets and race into real and tangible assets in order to preserve their wealth. If Saudi Arabia starts selling off its paper assets, most notably being U.S. debt, it wouldn’t be surprising to see some form of the script from the Rollover movie play out. Do you want to wait to see if such a time will come? Or do you want to prepare now, just in case? When you’re ready to move into physical precious metals, we will be here to help. Or, start now by clicking here to get your free info kit. Is this the worst financial start to a New Year ever? Read more here.